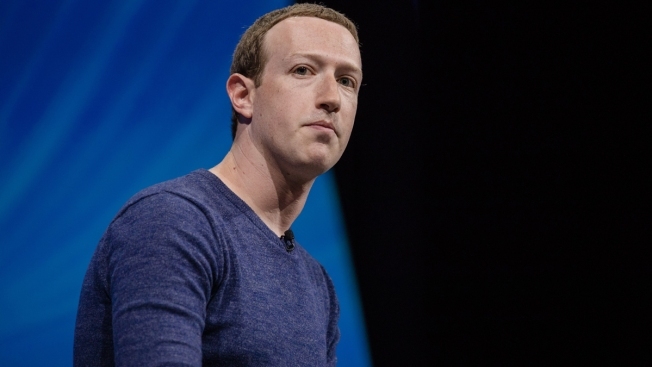 Internally, members of the communications team feel they've been thrown under the bus, with one source calling the move "total arrogance"
In this May 24, 2018, file photo Facebook founder and CEO Mark Zuckerberg listens during the Viva Technology conference in Paris. Mark Zuckerberg and his deputy, Sheryl Sandberg, believe Facebook's negative image comes from bungled public relations strategy and sensational media coverage, not structural or philosophical issues, six sources at the company told NBC News. Facebook is facing challenges from consumer organizations, politicians and journalists. A recent New York Times report found it had a "delay, deny and deflect" strategy for dealing with problems related to Russia-based disinformation efforts, and Zuckerberg and Sandberg publicly blamed the company's communications team for a controversial PR move highlighted in the report. Internally, members of the communications team feel they've been thrown under the bus, with one source calling the move "total arrogance." A Facebook spokesperson told NBC News the leadership "takes full responsibility for the issues we're facing. ... No matter where people sit at Facebook, everyone wants to move forward — and that's our plan."